You might see more green around here. That’s because all throughout December and January, create will be highlighting the many ways engineers contribute to building a more sustainable world. 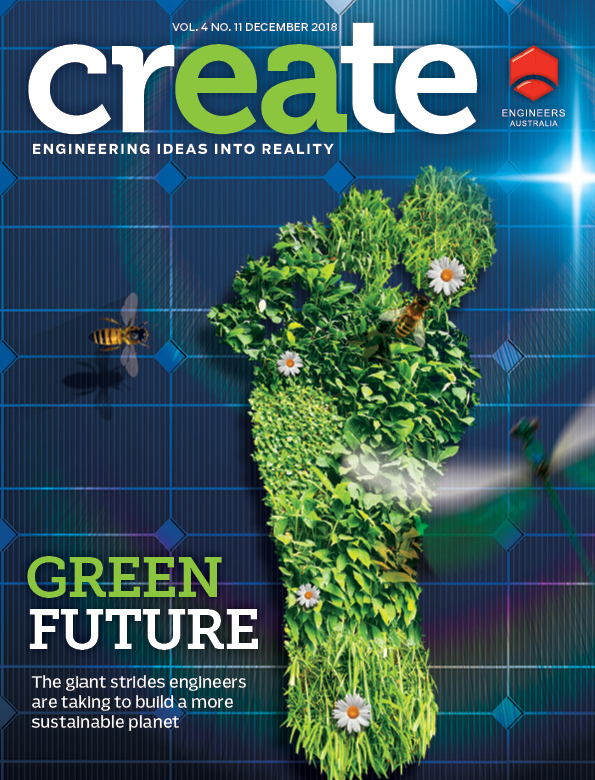 In their letter for the December/January issue of create magazine (which you can read here), Engineers Australia National President Trish White and CEO Peter McIntyre wrote that “engineers and engineering are vital to providing the solutions our planet and its people need, and each of us has a valuable role to play”. This role becomes ever more apparent when we consider the biggest challenges facing the world today. We head into an uncertain future, one where climate change, population growth and industry disruption collide to create a perfect storm. But engineers are working diligently to find solutions to some of the world’s biggest problems – present and future. Whether that’s mitigating the urban heat island effect, finding new ways to recycle materials, cleaning polluted waterways, building new transport technologies or designing green infrastructure, engineers are on the job. 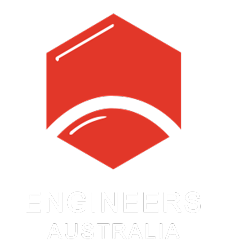 But sustainability is about much more than just going green – it’s about incorporating environmental, social, cultural, health and safety considerations into decisions, as the Engineers Australia President and CEO pointed out in their letter. Beyond the role of the individual engineer, the profession as a whole has a unique opportunity to step up and show others how to embed sustainable practices at a government, industry, organisational and community level. As Adrian Piani, Chair of the College of Environmental Engineers, wrote in his article for the green issue, if the world is to meet the UN Sustainable Development Goals, it must turn to engineers for help. One of our missions here at create is to showcase the positive contributions of engineers. This month we wanted to focus specifically on sustainability and the amazing work engineers do to build a better – more resilient and sustainable – world. Beyond telling the stories of engineers and engineering achievements, create is doing more to make our print version environmentally friendly as well. The magazine is printed on paper sourced from certified sustainable forests, and shipped in biodegradable wrap. We hope you’ll join us throughout the coming months by recognising the role of sustainability in the work engineers do. If you have a story you would like to share on the theme of sustainability, please contact the create editorial team here. You can read more stories on this topic by clicking on the ‘Sustainability’ tab in the top navigation bar, or subscribe to our weekly enewsletter to get stories delivered straight to your inbox.